Halve Baby Beets and roast in oven until semi soft. Halve Brussels Sprouts and place into pan with a little water, blanch until par cooked. 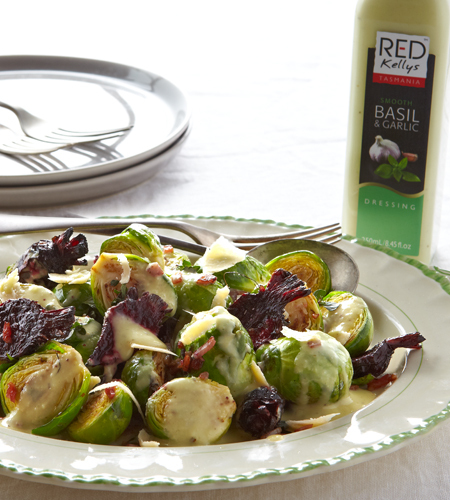 Pour water out of pan and add in olive oil and chopped up bacon – pan toss until bacon and sprouts starts to brown. Add Honey, Pinenuts, Thyme and Baby Beets to combine together. 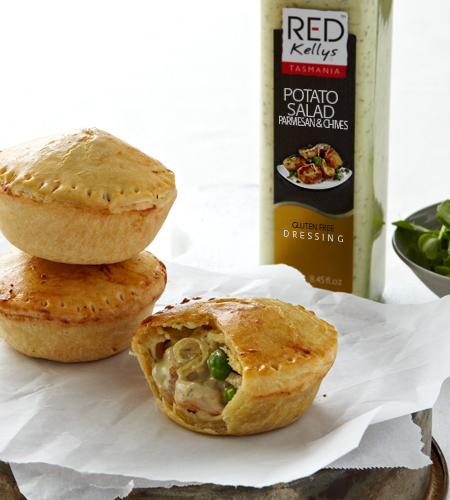 Transfer to a serving dish, add shaved parmesan and drizzle generously with Red Kellys Basil & Garlic dressing.